Welcome to my website, your source for West Island and the Island of Montreal Real Estate. If you own real estate that you are thinking of selling, I would be happy to provide you with a no obligations, FREE Home Evaluation. This evaluation will provide you with a market value of your home based on what the average buyer is willing to pay for a home similar to yours. Today, timing is everything and a professional real estate broker is what you need to start off in the right direction. Homes can sometimes be underpriced or overpriced with location playing a major factor. Also, homes are sold before they are ever advertised. You can beat other homebuyers to the hottest new homes for sale in the West Island and on the Island of Montreal with New Listings Notification found by clicking on the Home Search tab in the top left margin. Whether you are buying or selling a home, hire someone like me, who wants to earn your business. I invite you to contact me as I'd be happy to assist you with this important transaction. 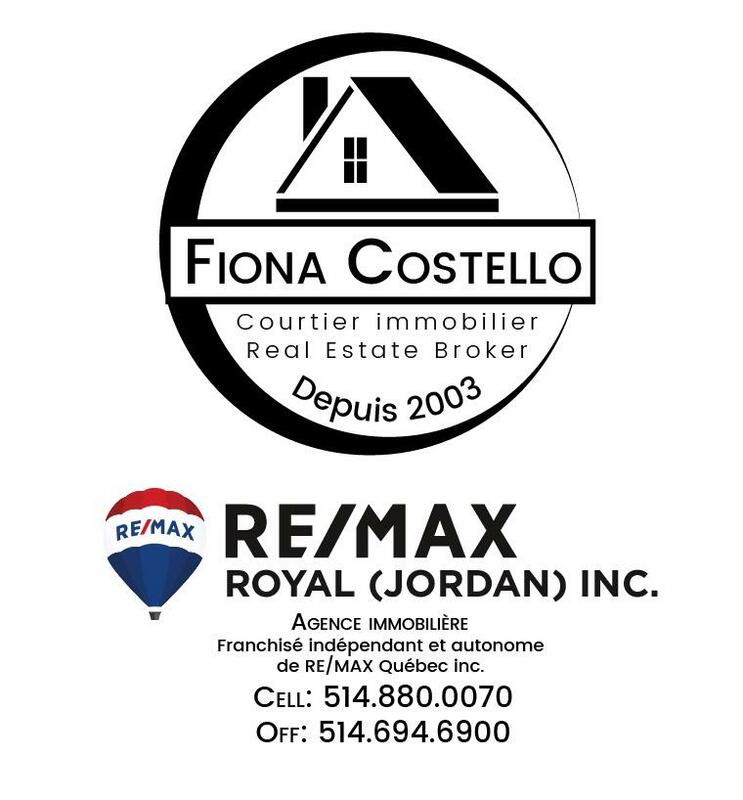 I can be reached on 514-880-0070 or by email fiona@royaljordan.com or fionacostello@videotron.ca. In addition, if you have any general questions about buying or selling Real Estate on the Island of Montreal, send me your request and I will reply to you within 24 hours of receipt. My website is there for you to enjoy so, please browse the site for listings, reports and important local Real Estate information. No Expense Spared. 7 Bedrooms, Home office, 3.5 Bathrooms, 2 Family Rooms, Large Dining Room & Living Room. Zen & open concept. Large Master Bedroom with Gorgous State of the Art Ensuite Bathroom. Just WOW! Please complete and submit the following Basic Online Home Evaluation form. The more information given, the more accurate the evaluation. All information you provide is secure and will be kept strictly confidential. To provide a more accurate Comparative Market Analysis, I would be more than happy to evaluate your home in person. IT'S FREE!